Denny grew up in Oakville, Missouri where he still resides and works. He thinks Oakville is a great little part of the world and really enjoys being here. He sold his first appliance part way back in 1983. 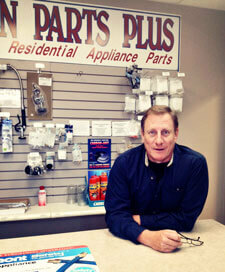 In his own words, “appliances change, parts change, people will always be the same.” Denny is Kitchen Parts Plus’ ambassador to the world. Working with people in person and on the phone keeps him interested in being there every day. This fits well with the Kitchen Parts Plus’ way of doing business, of personal customer service. Matt grew up in Oakville, Missouri. He now resides in the small town of Waterloo, IL, where he and his wife, Dawn of 18yrs enjoy hanging out with friends and neighbors. 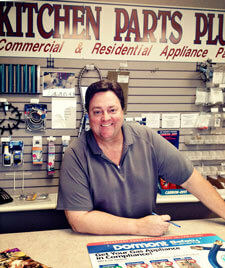 Matt has been in the commercial appliance parts business since 1991 and helped found Kitchen Parts Plus in 1998. Matt has a great understanding of how appliances work and can often help you identify the problem if you are unsure what part is needed. Joe and his family (Wife, Kim of 23 yrs; Son Joey-18 yrs old, and Daughter, Holly 12 yrs old) reside in Hazelwood, Missouri. Joe has been selling appliance parts since he was 16 years old and still hasn’t decided what he wants to do when he grows up. Together with his wife, he has been involved with his children’s sporting events by coaching, managing, and a lot of bleacher surfing for what seems like an eternity. His son Joey is a starting mid fielder for the Lewis & Clark Trailblazers College men’s soccer team and his daughter, Holly, plays competitive basketball, soccer, softball, and volleyball. When Joe is not working or bouncing from field to field or court to court, he enjoys relaxing in front of a big screen or by his pool with a cold beer in one hand and a laptop by the other. 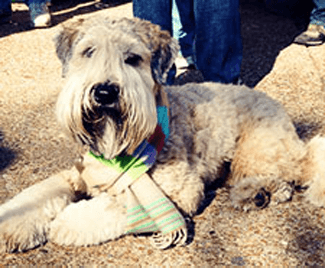 Stoli is a 6-1/2 yr old Soft Coated Wheaten Terrier and Kitchen Parts Plus, mascot. 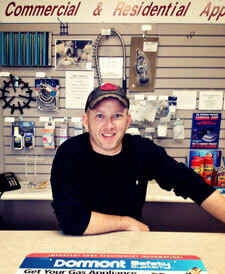 He has been a fixture at Kitchen Parts Plus since the spring of 2007 when he began his appliance parts career at only 8 weeks old. He can often be found taking a nap under a desk or greeting the customers. Stoli is definitely a big fan of the mailman, probably has something to do with receiving a treat every day. When Stoli is not at the office, he can be found curled up napping on the couch at home or playing with his neighbor fur buddies. He is a meet and greeter. He loves everyone who visits Kitchen Parts Plus, so if you are in the area, Stoli would love for you stop by. Treats are always welcome!